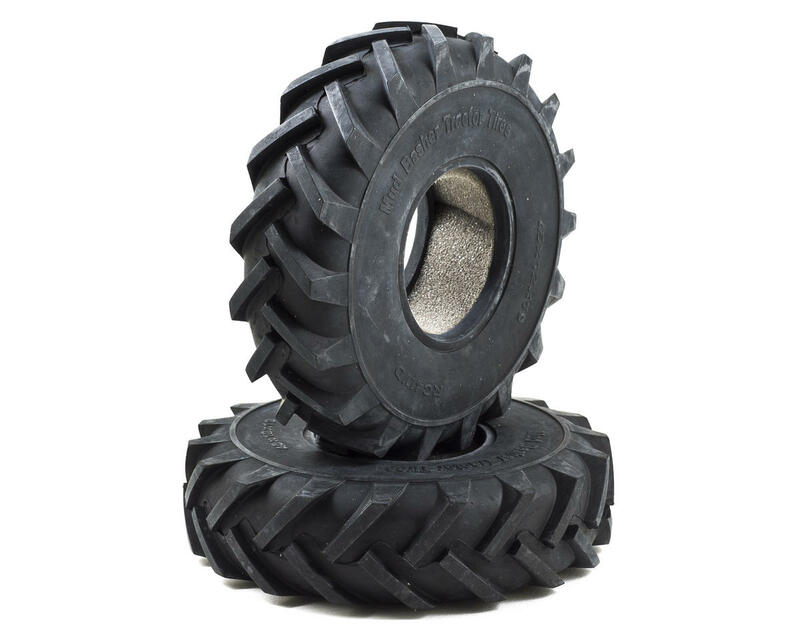 This is a pack of two RC4WD Mud Basher Scale Tractor Tires for a 1.9" wheel. 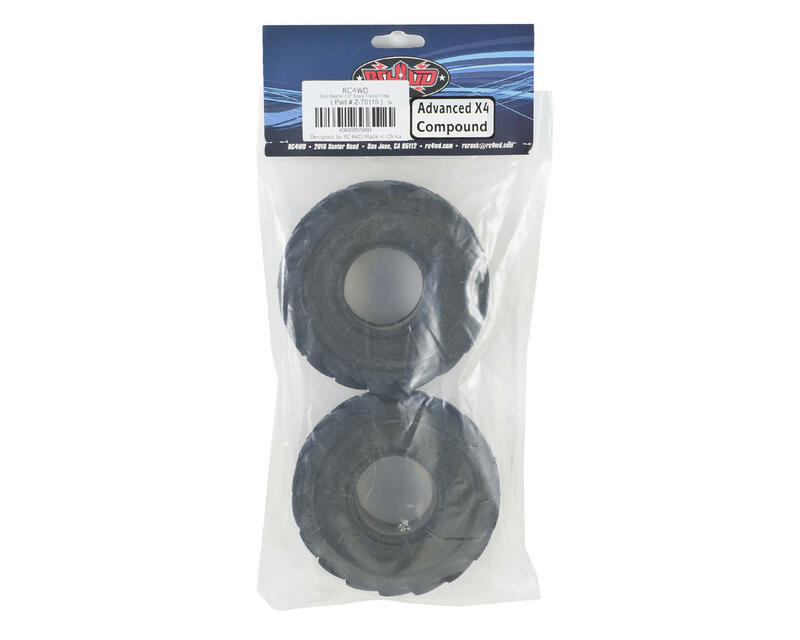 These tires are molded in Advanced X4 rubber compound which is similar to a medium compound. Stiff foam inserts are also included. These tires are not designed to conform to rocks or flex easily. They are designed to retain their shape and stay firm for maximum dirt throwing through soft soil, sand and mud. Notes: The OD is 10.9mm Larger than the Original Tires.